Beautiful blue starfish wallpaper. Starfish or sea stars are remarkable creatures. They don't have eyes but they have an eyespot through which they can detect shapes and light. They don't have a brain. 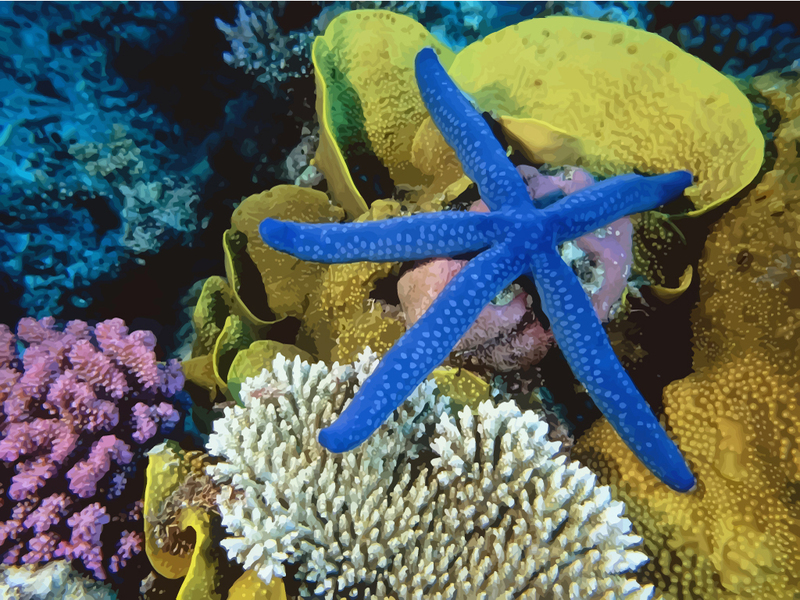 If a starfish looses an arm, that arm can grow into a new sea star. Original wallpapers are © of respective artists.